Seattle collector Emilio found an extremely rare orange HALO original XBOX at a garage sale near Microsoft HQ in Redmond Washington.. There was only one made by a Microsoft employee and here is the story. 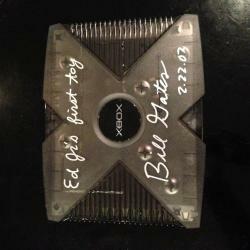 Wow that's nice....I painted one of mine red and of course I have the Halo green model. I think there was a red Dreamcast and a blue or black PS1 I used to look for ages ago but gave up. 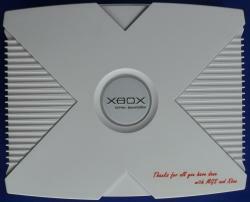 I made some of these sorts of Frankenstein consoles back in the day. We kept plastic shells at R&R for repairs and I would take the ones I liked the look of and wrap them around a console. 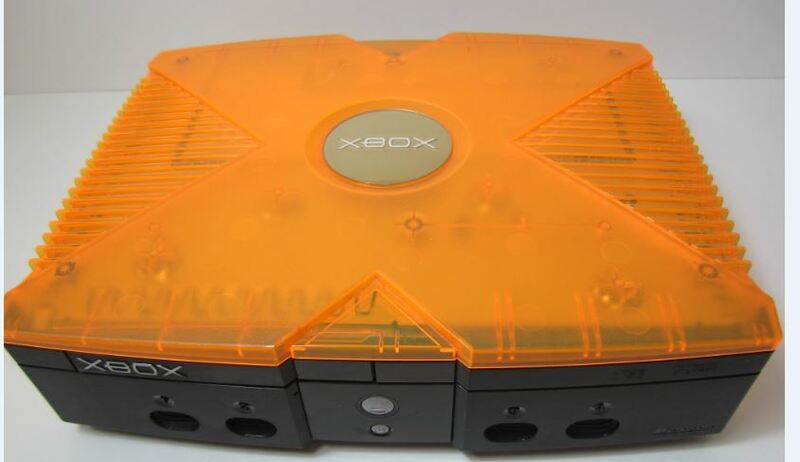 I remember socking away a bunch of the silver Xbox jewels that go on the top and the silver BTS stickers for the bottom so I could open and service consoles without leaving unsightly holes. 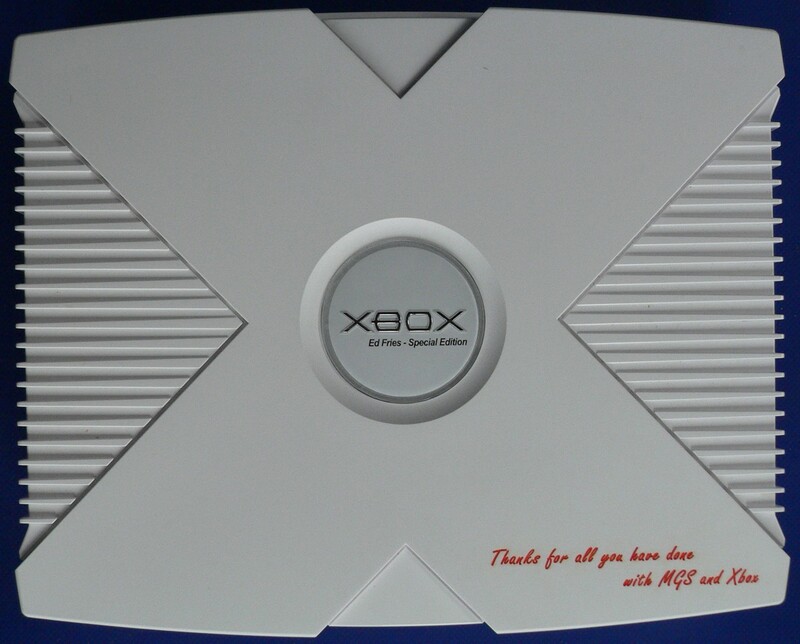 Way back when the original crystal-green team consoles shipped, they made us all pay full price for them (something about tax reporting) and my wife didn't want me to get mine. I think they were $299 or $399... I told her these were special collectible consoles and showed her the picture that called the consoles "crystal green." She became much more receptive to the idea of having one. Unfortunately, when the console arrived, she found out that "crystal" is a euphemism for "clear plastic". For $299 she was expecting some kind of actual crystal Xbox! She was pretty upset with me after that. Always awesome to happen upon something like that just by chance. 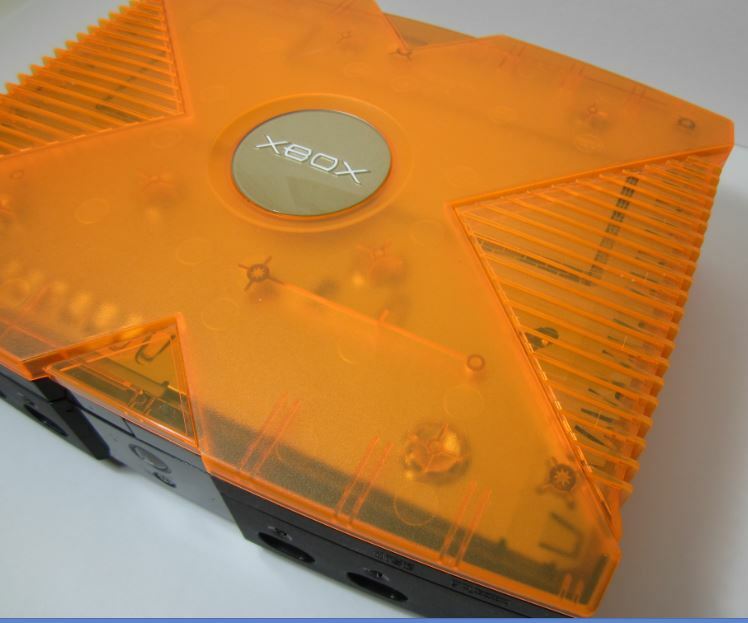 I am fortunate to own the orange lid that is shown in the youtube video Metaljesus put up a couple weeks ago on Emilio's Halo Orange XBOX. There is a picture of some of the Microsoft staff standing next to a table full of the orange lids that were test colors. However most of them must of been destroyed because I am the only one to come forward with this one. The tint of the orange is different than the one Emilio has. Edited by neogeo79, Tue May 5, 2015 12:35 AM.